GRAMBLING, LA.– Sept. 19, 2018 – Today, Grambling State University announced its fourth consecutive annual increase in student enrollment; with 5,205 students enrolled for Fall 2018 semester. a 70 percent increase in admissions applications. The University’s story includes five recently announced construction projects; computer lab and server room upgrades; and celebrity acknowledgments from Beyoncé, Snoop Dogg, and J. Cole. This year marks the second time since 2013 that the University has seen an enrollment of more than 5,000 students. For interviews and more information about GSU’s fall 2018 enrollment, please contact mediarelations@gram.edu or call 318-274-2866. Grambling State University, located in Grambling Louisiana, is a historically black university founded in 1901. The University has been accredited by 14 accrediting associations and holds accreditations in all programs required by the Louisiana Board of Regents. The 590-acre campus offers 41 undergraduate and graduate degree programs. 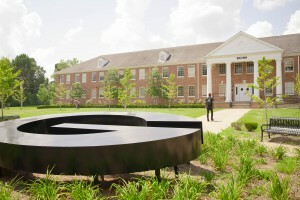 Grambling State University is a member of the University of Louisiana System. For more information, visit gram.edu. This entry was posted in academics, awards, campus, gramstory, Uncategorized on September 20, 2018 by Jovan Hackley.